Larry was born in Utah, Raised in Phoenix, Arizona. He spent all summers working on a farm in Utah with his father and mother, and an older brother, younger brother and a loving sister. EDUCATION: Two years at BYU. Two and a half years, Mission to Uruguay, Paraguay and Argentina. Degrees from Arizona State University: 1965- Ag. Business, 1971- MBA. Children: 4 boys, 1 girl. 20 grandchildren, (11 boys, 9 girls) one great-grandson. CAREER: New York Life Insurance Company. Salesman, General Manager, Trainer, and now retired after 40 years. Bishop, Stake Presidency, High Council and most current as a Provo Temple Ordinance Worker. 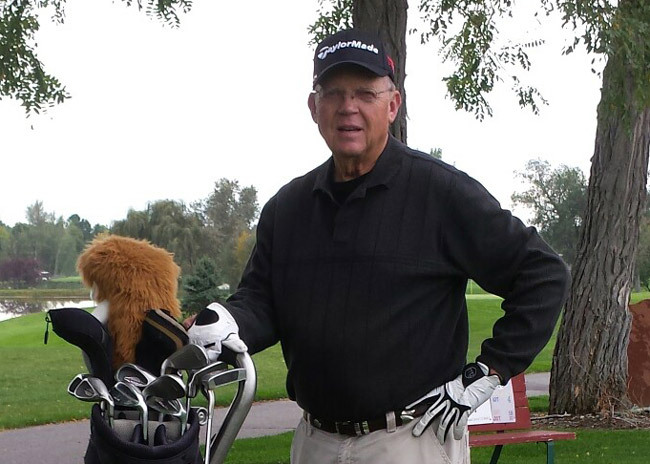 LARRY ENJOYS playing golf with sons, grandsons and friends. He looks forward to traveling with his wife and her sister. He loves to volunteer and donate blood-O+ (172 pints to date).